The Whitsundays is great for relaxing but it’s also the perfect place for adrenalin junkies to get their kicks either on land, by sea or up in the air. You can Skydive Airlie Beach which is considered one of the greatest drop zones in the world or hop on board a Tigermoth for a heart racing aerobatic flight right in front of Airlie Beach. 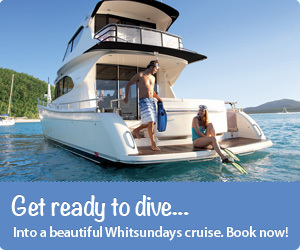 On the water you can explore The Whitsundays by jet ski or visit some great destinations while having the ride of your life on the super fast Ocean Rafting vessels. On land you can head west and go 4 wheel driving through some amazing country. There’s so many choices as you can see below with lots of options for the more faint hearted. 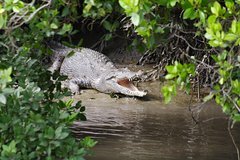 There's a couple of ready-to-book adventure activities below, or you can also check out our Flying Adventures and Boat Cruises pages. 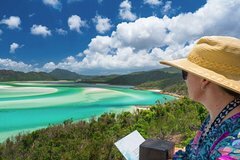 For more attractions and things to do while holidaying at the beautiful Whitsundays, our Whitsundays Directory has a great list of adventure activity providers. This tour is for the adventurous as you conquer the challenge of open water jet skiing experiencing the Whitsundays amazing offshore islands with your destination the beautiful Daydream Island Resort and Spa.